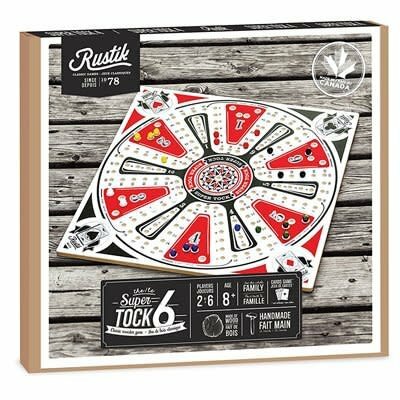 Tock (also known as Tuck in some English parts of Quebec) is a board game, similar to Ludo, Aggravation or Sorry! 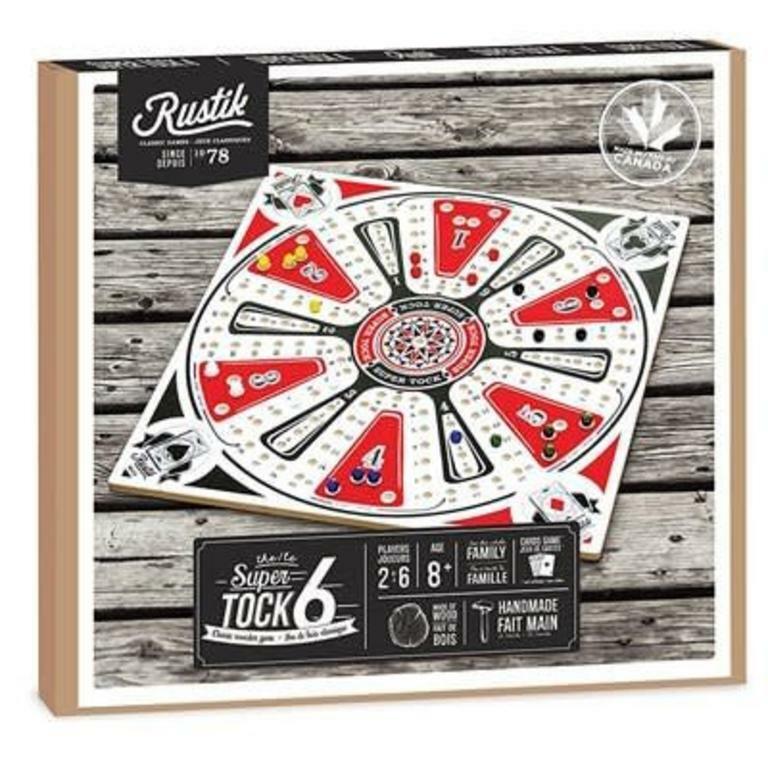 Tock (also known as Tuck in some English parts of Quebec) is a board game, similar to Ludo, Aggravation or Sorry!, in which players race their four tokens (or marbles) around the game board from start to finish the objective being to be the first to take all of one's tokens "home". Like Sorry!, it is played with playing cards rather than dice. At the beginning of each round players are dealt a number of cards which they play in turns to move their tokens around the board. If at any time a token lands exactly on the field occupied by another token then the moved token replaces the resting one (which is placed back into the corresponding player's starting area). If a player on his turn has no cards he can play with his tokens (or which he can't play against the other players, like a 5, 10 or Queen in some variations) then he must discard his entire remaining hand and wait for the next hand to be dealt. A starter is a card that allows a player to move a new token to the starting field. Aces and Kings (and Jokers in some variations) are starters. A token at the starting field is immune to capture or swaping by an opponent, and additionally it creates a blockade. No players can pass a token that is on its starting field, either forward or backwards (with a 4). In the simplest form of the game, the cards only provide a single specific number of fields to move forward. However, Tock has many (even more popular) variations where some cards have special functions, that make the game more challenging and interesting. Any combination of card functions can be used in play. Just ensure every player is aware of all the options to be used in play prior to the game. Tock or Tuck is a strategy game where players take turns playing cards, with the value of the card determining how far they may move a marble.